The Chili’s Grill and Bar has been the go-to location for customers seeking quality Tex-Mex fare for over 40 years. This chain has steadily grown across the United States in that time, booming from a simple store at the corner of a Dallas street, to one with more than 1,500 locations all over the world. Chili’s is responsible for some of the most memorable marketing campaigns of recent decades, including the invention of a song that has both delighted and annoyed millions of Americans over the years. The first Chili’s Grill and Bar location opened in Dallas, Texas, in 1975. They were one of the first casual dining restaurants at the time, and they helped to shape the modern quick-service industry. They served fresh burgers out of napkin-lined baskets, offering quick-service, low prices and great food in a comfortable and laid back atmosphere. They also served a selection of homemade chili and tacos in a Tex-Mex style. Their first menu was small, with just 3 chili choices, a few burgers and a choice of tacos. But it proved to be immensely popular nonetheless, capturing the rising demand for fast Mexican food. They opened their second location a year later. In the early 1980s, Norman Brinker bought many Chili’s locations and set about changing this small-time chain into an industry leader. In 1983 they went public with an IPO and in 1986 they launched their now iconic Baby-Back Ribs commercial. 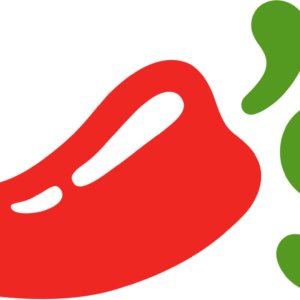 In 1991, the company behind Chili’s changed their name to Brinker International. Under this name, they went on to invest and acquire a number of restaurants and chains. But nothing topped the success of Chili’s, which remains under their control to this day. 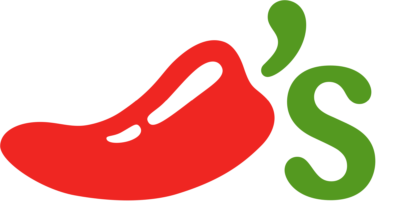 As of 2016, there are close to 1,600 Chili’s Grill and Bar locations around the world, helping Brinker International to an annual revenue of close to $3 Billion. Don’t expect to get as much choice as you would on the Taco Bell menu or the Chipotle menu. Think of Chili’s as a cross between Sonic and Del Taco, and the image you have in your head won’t be too far removed from the truth. Chili’s also has a kids menu and a catering menu. In the case of the catering menu, you can use this to stock-up for parties, impressing your guests with some of their fast food favorites, and reducing the time you spend in the kitchen slaving over a hot stove. We love Mexican secret menus. The Taco Bell secret menu is one of the biggest we have, while the Del Taco secret menu, which comes complete with the Stoner Burrito and other food that’s perfect for when you have the munchies, is one of our favorites. But, with that said, the Chili’s secret menu isn’t quite in the same league as they are. Still, we have done what we can to source some Chili’s secret menu hacks and to make sure we have something to show you. If you visit this chain on a regular basis and are devoted to all things Chili’s, then you may find this interesting. If you’re simply on the lookout for a big Mexican/American secret menu, then try one of the aforementioned options. Chili’s isn’t exactly a health-food chain. This is not guilt-free food. In fact, it couldn’t be further from it. Still, there are healthy options available, as is the case with all fast food menus. You just need to know what you’re looking for and how much is in the menu items you order. The Chili’s menu is a minefield of fattening foods. It’s chock-full of sugar and salt as well. But there are lighter tacos and fillings available. There are smaller burgers that are heavier on protein than fat, and there are also options for all special diets. That applies whether you’re vegetarian, vegan or gluten-free. To learn more, be sure to read the Chili’s Nutrition Info page. This will tell you what’s what, with calories, fat, sugar and salt for every single item on this extensive menu. Many big chains own a very small share of the locations that carry their name. Quiznos is 100% franchise owned, for instance, and most of the other chains on this site have fewer than 5% locations that are company owned. Chili’s is a little different though, as nearly 50% of their locations are company owned. There are over 1,500 locations in total, and while many of these are in the US, they have also spread much further afield. All of the following countries also have Chili’s, and it’s a brand that is continuing to grow and to spread. Chili’s was also in Australia at one point, before legal troubles forced the brand to leave the country. If you drop by Chili’s for lunch, between the times of 11:00am and 4:00pm, you can partake in their Lunch Menu. This is a cheap and tasty way to get through the biggest meal of the day. There are all kinds of Meal Combos to create and enjoy, from tacos, fajitas and other Mexican classics, to burgers, fries and various other American fare. All of this is very respectable and Chili’s menu prices are some of the lowest of any casual dining restaurant. The Chili’s menu is not quite as cheap as the El Pollo Loco menu or the Taco Bell menu. But for sit-down service, you can’t go much wrong. To see the full Chili’s menu for yourself, be sure to read our guide on Chili’s menu prices. This is updated regularly, with all new items added as soon as they are announced. Of course, this menu will only be relevant in certain locations and currencies. But as with all chains, Chili’s prices are fairly consistent across the board once you account for regional differences, taxes and currency conversions. The best time to visit Chili’s Grill and Bar is during Happy Hour, when everything is just that little bit better and that little bit cheaper. Be sure to checkout our Chili’s Happy Hour page to see when these hours are and to take advantage of them. Bear in mind that Happy Hours exist to attract business when trade is slow. As a result, you may have to go out of your way to visit during these times. But with big savings, big food and big entertainment, it might be worth doing that. Each Chili’s location is different. But typically they open at 11:00am and close at 11:00pm. This applies from Monday through to Saturday, and while Sunday’s hours may be shorter, they are usually on par with the rest of the week at this particular chain. Be sure to check with your local restaurant to determine the exact hours and to see whether they are open during certain holidays.